More and more people are trying to rip DVD to digital video for personal use. And that’s where DVD rippers come from. Today we have many DVD rippers in the market. Among them, Handbrake is one of the most popular one. Although Handbrake is mostly known as a video encoder, but it can actually be used to rip DVDs. It can help you deal with DVD ripping effectively and freely. It is also the easiest DVD ripper for people to handle. Handbrake enables people to watch movies with their Mac at any time. Maybe some will say that Handbrake can not help users remove copy protection on Mac. That’s not entirely true because there’s something you can do about Handbrake that can make it rip protected DVDs. How to use Handbrake to remove copy protection on Mac and rip DVD? Certainly, Handbrake can not decrypt copy-protected DVDs natively. But you can achieve it with the help of a third-party tool. If you really want to use Handbrake to remove copy protection on Mac, you need to install Handbrake libdvdcss on Mac. Libdvdcss is a library designed to access DVDs which are encoded with CSS encryption. Libdvdcss can decrypt not only DVDs with CSS encryption but also some other similar copy protections. So, here’s how to download and install Handbrake libdvdcss on Mac. 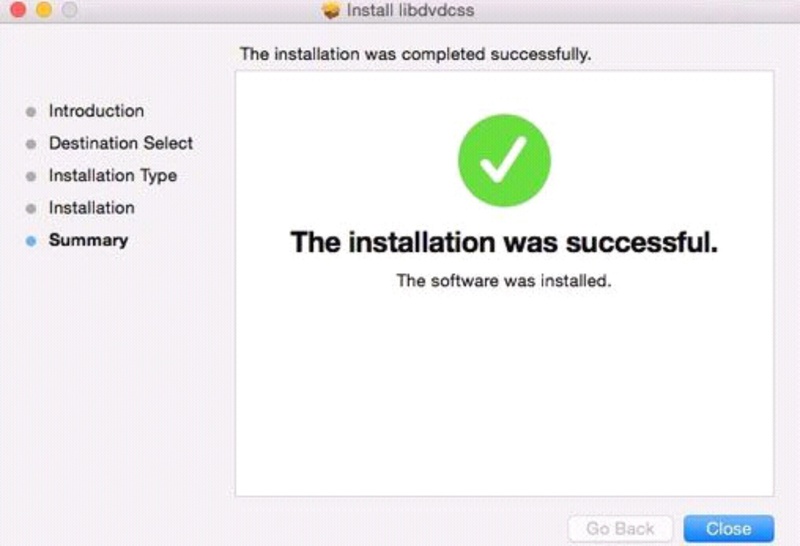 Step 1: Search “Libdvdcss Mac” on mac.softpedia.com. Step 2: Press “Download Now” button. Step 3: After downloading, double-click to install it. With all these done, you can begin to decrypt the DVD you want with Handbrake. Here are the steps for you to follow. Open Handbrake on your Mac and then click the Source button which is in the top left corner. Remember to put the disc in your disc drive in advance. Select one title from the title drop down menu. Press the “Add to Queue” button to add your selected title to your ripping list. If you have multiple titles to rip, add them all to the ripping queue one by one. Handbrake doesn’t provide a default output path for the output video. You have to set it up manually by pressing the Browse button. Then choose a preset for the output video from the preset list. Click on the “Start” button to let Handbrake decrypt the DVD on your Mac. With the help of libdvdcss for Handbrake copy protection Mac is removable. However, when it comes to some advanced copy protections, Handbrake libdvdcss might not be able to work all the time. What’s more, some people think installing libdvdcss is inconvenient for them. In this case, you might need a Handbrake alternative that’s more powerful than Handbrake. 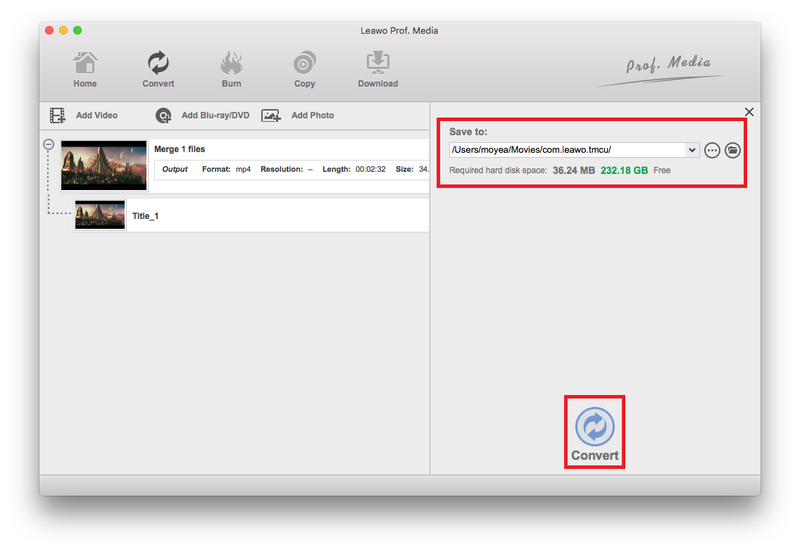 As a professional DVD Ripper, Leawo DVD Ripper for Mac is the top 1 Handbrake alternative for Mac. It can help people rip any DVD discs to any video formats. 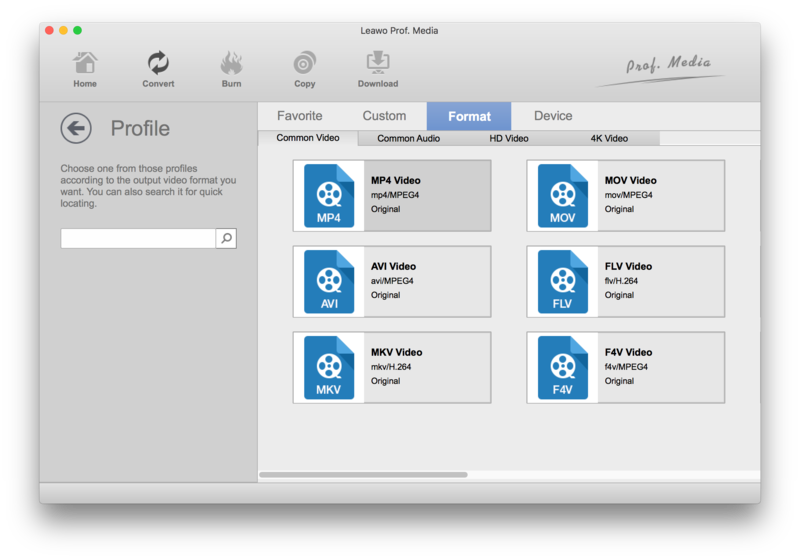 Leawo DVD Ripper can also perform as a DVD player, a DVD editor and a 3D movie creator. It is professional, fast and easy to handle. Below I will introduce you the specific steps of ripping DVD with Leawo DVD Ripper. After entering the homepage, you can see the “DVD Ripper” button. Click on it, then you will enter the “Convert” interface. On the “Convert” interface, you can see “Add Blu-ray/DVD” button, press it. Or you can straightly drag and drop source DVD files into the “Convert” interface. 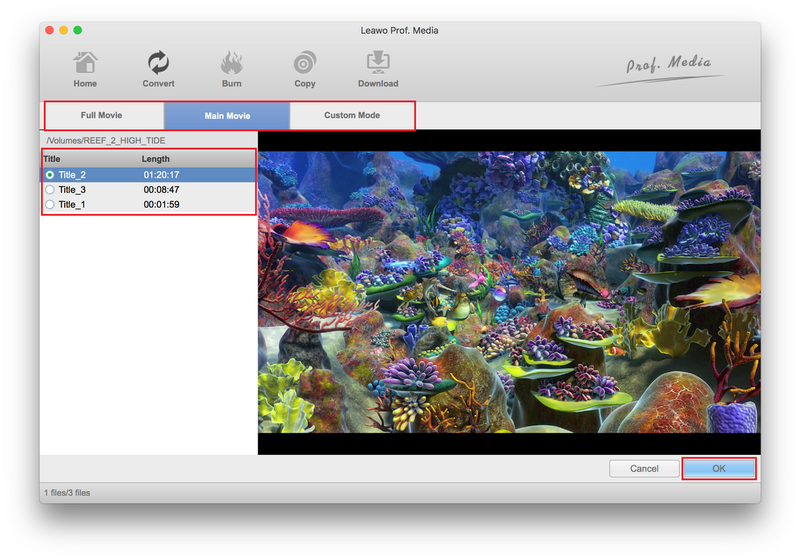 After selecting DVD content, you will see 3 options to import DVD file(s): Full Movie, Main movie and Custom Mode. Select one mode and click “OK” to start importing source DVD files. Click the box named “MP4 Video” to call out a menu below the box. Then click “Change” button to enter the “Profile” panel. You can choose your wanted profiles for the output video. Various video/audio formats and prosets for specific device models are available for selection. Once choosing a format or preset for the output video, you will be back to the “Convert” interface. On this interface, you can click the green “Convert” button to set output path for saving the output files on the sidebar that follows. 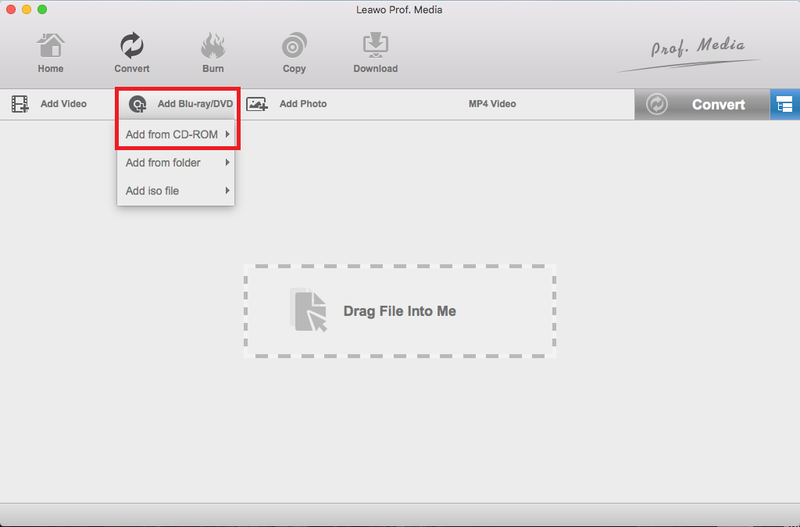 Press the “Convert” button at the bottom and Leawo DVD ripper will start to remove copy protection from the DVD movie and convert it to the format you chose. Following the above 5 steps, you can easily rip your desired DVDs. Unlike Handbrake DVD copy protection, which requires a third-party tool to decrypt a few copy protections, Leawo DVD Ripper allows you to copy all kinds of DVD discs: DVD discs protected by CSS encryption, DVD discs from any region, and DVD discs from any movie studio. What’s more, Leawo DVD Ripper also supports DVD folders and DVD ISO image files as input. Maybe you will be attracted by Handbrake for its free charge, but you will never regret to choose Leawo DVD Ripper because it is worth the price. 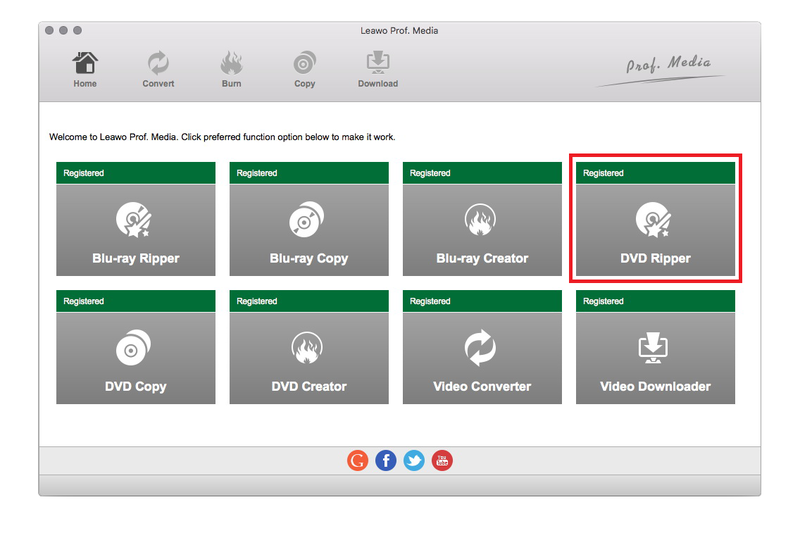 After getting Leawo DVD Ripper, you would be able to rip DVD to watch on Apple TV and other electronic products you have.